Konami revenue grew 7.8 per cent to ¥192.6 billion ($1.76bn) for the nine months ending December 31st 2018. Operating profit for the period also increased by 2.4 per cent to ¥39.4bn ($362m) year-on-year. Digital Entertainment revenue, which includes the company’s games business, was up 18 per cent to ¥105.8bn ($971m) compared to the same period prior. Profits rose 8.5 per cent to ¥32.3bn ($297m) for the segment. Konami highlighted its sports games such as Pro Evolution Soccer for spearheading healthy games sales. 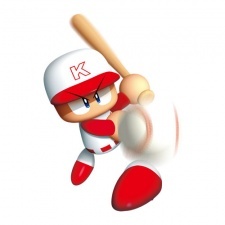 Sales for its Professional Baseball Spirits A title increased, while Jikkyou Pawafuru Puroyakyu and Jikkyou Powerful Soccer were also said to have performed strongly. The publisher added it “continues to revitalise” the Yu-Gi-Oh trading card game, an IP which celebrates its 20th anniversary this month. Its successful mobile title Yu-Gi-Oh Duel Links is set to launch in China. Other upcoming mobile titles include Castlevania Grimoire of Souls, Dankira - Boys Be Dancing and Loveplus Energy. With its success in the sports genre, Konami focused part of its financials on its esports initiatives. These included the regional final round of the first phase of the Pro Evolution Soccer World Tour 2019 in Europe and South America.